Last week I went to a baby shower. They served brunch which is definitely my favorite meal – a combination of breakfast and lunch? Yum. They had a fruit tray with the yummiest fruit dip. The host had made A LOT of fruit dip and so sent some home with me. It was so delicious that I wanted to drink it instead of dip fruit into it. But after asking her what was in it I thought twice about drinking it. Ha. Anyway, but do you know what did happen? We ate way more fruit than we normally do because who doesn’t love to dunk fruit into dip? I decided I needed to come up with a dip that I felt a little better about consuming in large quantities and feeding to my kids. The ingredients in this dip are natural and definitely fall into my definition of clean eating. The best part about this dip is that it is super refreshing. You don’t don’t feel heavy or sugar overloaded after eating it. Perfect for an afternoon snack pick-me-up. 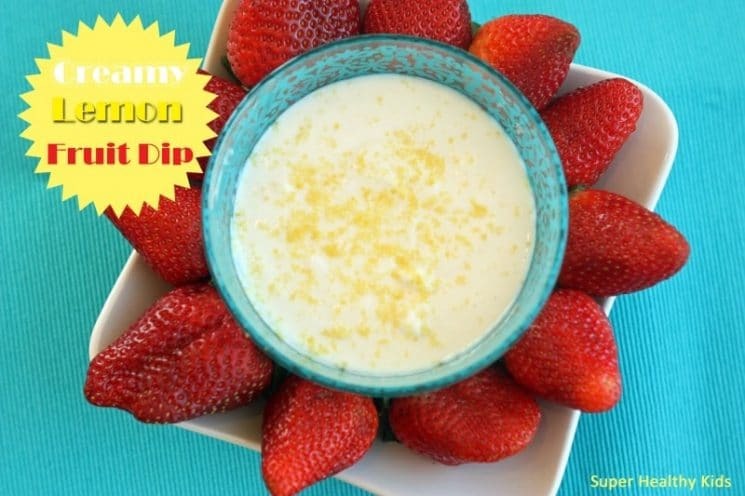 This dip only has 3 ingredients. Can you tell we like simple recipes? The first thing is to combine 1/4 cup lemon juice with 1/4 cup honey. Place in a saucepan and bring to a boil. Simmer for a few minutes to combine the flavors and thicken just slightly. Remove from the heat and let cool to room temperature. Next mix with 1 cup non-fat plain Greek yogurt. 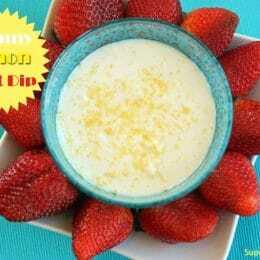 (If it is too tart for your kids, you could use Vanilla Greek yogurt) Whisk together until smooth and creamy. Then serve with your favorite fruit! It is that simple. 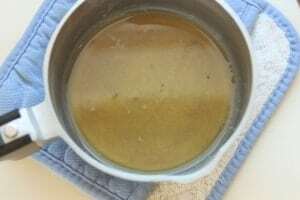 Combine lemon juice and honey in a small saucepan. Bring to a boil, turn heat down and simmer for 2-3 minutes. Whisk together Greek yogurt and lemon/honey mixture. Garnish with lemon zest. Serve with your favorite fruit. I’ve been reading that store bought honey may not be as good as local honey. One because manufacturer will remove the pollen and two they will add cheap fillers like corn syrup. There currently are no regulation preventing this so even labels stating 100% pure honey doesn’t mean anything. Local is best 🙂 I buy mine from the farmers markets over the summer. The taste is phenomenal! Could I use whole milk yogurt? What’s up, after reading this amazing article i am too cheerful to share my experience here with friends. a long time and yours is the greatest I’ve found out so far. However, what concerning the bottom line? Are you sure about the source? My husband teaches 4th grade and hates to offer pizza parties as a reward for reading books. Aside from wanting kids to read because its interesting he doesn’t like to contribute to unhealthy snacking in the middle of the school day. 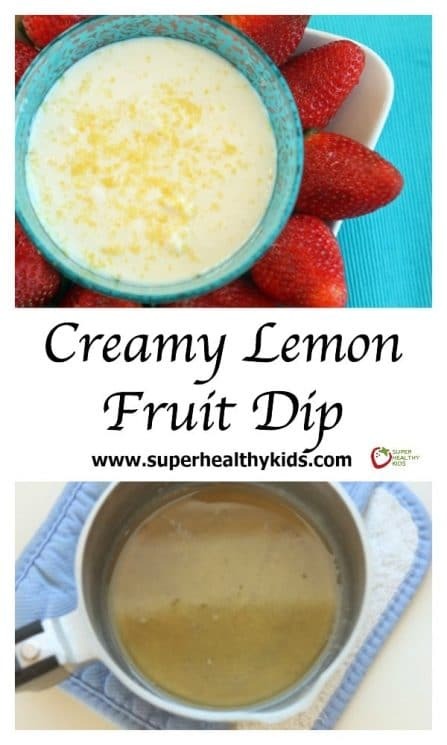 His class read a great number of books this year so to celebrate he brought in popcorn, fruit, pretzels and a variation of this dip (a dollop of lemon curd instead of juice and honey) . The dip was a hands down winner with the kids! They spent the time munching and talking about their favorite books. Thanks! which really is a good thing. Each physique is various and has its own fine tuning. Peyronie’s disease is a situation that many individuals don’t know much about. Maybe you are thinking that I speak as well ‘loud’ about it. requirement with the valuable collateral. This sound very good, except one thing: honey is not appropriate for boiling, actually it becomes toxic when brought to more than 40 degrees celsius. Please look it up. Can you just mix this up without boiling so the vit C will still be intact as well as the good things in the honey?